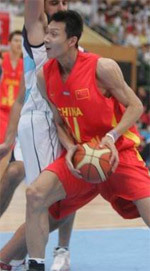 Shenzhen overcame Beijing to advance into the semifinal stage. Leopards made 21-of-25 free shots (84.0 percent) during the game. They shot the lights out from three sinking 15 long-distance shots on high 55.6 percentage. 24 personal fouls committed by Beijing Ducks helped opponents get some easy free throw opportunities. American point guard Dwight Buycks (191-89, college: Marquette) stepped up and scored 17 points, 7 rebounds and 5 assists for the winners and international center Zijie Shen (205-97) chipped in 18 points and 7 rebounds. Croatian-American center Justin Hamilton (213-90, college: LSU) responded with a double-double by scoring 34 points (!!!) 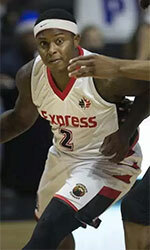 and 13 rebounds and American guard Aaron Jackson (190-86, college: Duquesne) scored 22 points, 7 rebounds and 8 assists. Both teams had five players each who scored in double figures. Both coaches used bench players which allowed the starters a little rest for the next games.